Dr. Hawkins has the expertise needed to ensure your family’s dental health plan. From regular check-ups to bridges and mini dental implants, our caring professionals will treat your family’s dental health needs throughout your lives. This is a systematic process where the dental hygienist and the dentist investigates your overall oral health in order to identify any areas of concern. The Oral evaluation will consist of your medical history, a view of your oral supporting structures, gum measurements, and radiographs (x-rays). 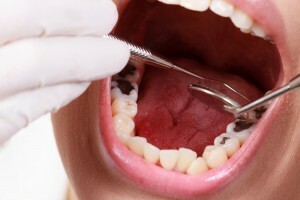 After the oral evaluation the dentist may choose to create a treatment plan to address the areas of concern. In many cases a filling, root canal, crown, bridge, or mini dental implants are used to restore your smile to its original luster. Usually impressions are taken on the first visit to help the laboratory create your new teeth. Crown preparations are made or a mini implant is placed in the area of concern. A temporary crown may be placed until your next visit. 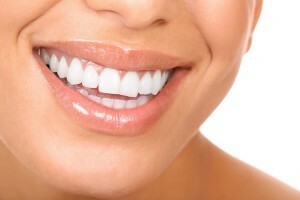 On your final visit to the dentist your final restoration will be placed or your prosthetic denture will be delivered. The dentist will make adjustments to your bite so that the crown or denture is seated in the proper location. Most patients who have missing teeth leave the office smiling after only two visits. A preventive program is a cooperative effort by the patient, dentist, and dental staff to preserve the natural dentition and supporting structures by preventing the onset, progress, and recurrence of dental diseases and conditions. Preventing dental disease starts at home with good oral hygiene and a balanced diet. It is continued in the dental office by the efforts of your dentist and dental hygienist to promote, restore, and maintain your oral health. Prevention also includes regular dental exams, cleanings, and x-rays. Prevention helps avoid serious and costly dental problems and is the key to having a healthy, confident, beautiful smile. Mini Dental Implants are the newest breed in implant dentistry. Dr. Hawkins and his associates use the Mini Dental Implants to help anchor loose dentures in position or to replace individual and multiple missing teeth. They can even be used to replace a full arch of teeth often in just one short visit. Dr. Hawkins has trained extensively on the use of the Mini Dental Implant at the Dental Implant Training Centre in Buffalo, New York. For more information or to see if you are a candidate for this simple cost effective procedure call for a free consultation. Wisdom teeth extractions are a fairly common procedure. Wisdom teeth often cause problems as they are trying to protrude through the gums. When a wisdom tooth is impacted, it means the tooth is coming in at an angle and not straight through the gum line. This can cause pain, the tooth can come in unevenly, or the tooth may only emerge partially. Depending on the incision and extraction site, sutures may be needed to close the area. Soluble sutures are the best option, which will dissolve on their own. This whole procedure can be made very comfortable with conscious sedation. Dental Implants You Can Afford! 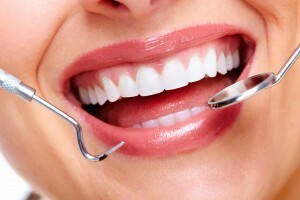 Finding the right dentist and the right specialist will be an important decision for the dental health of your family.